A new National LGBTQ Center for the Arts will begin offering programming this fall in a $9.6 million, four-story, Art Deco building located in the heart of San Francisco. 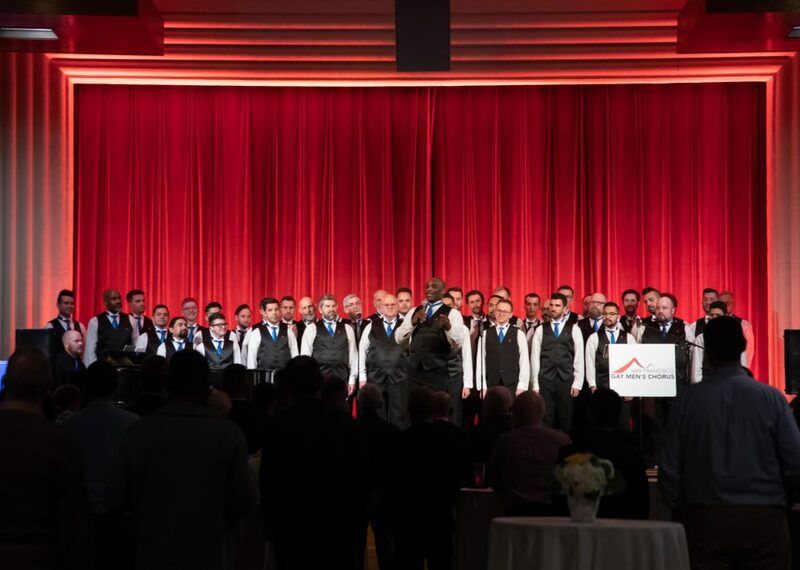 Initially, the center at 170 Valencia St. will serve as the first permanent home for the San Francisco Gay Men’s Chorus, the organization behind the building’s purchase and establishment of the performing arts center. But in the years to come, there are plans to grow the chorus’ programming and turn the building into a performance, practice and meeting space for a diverse group of artists, scholars, community leaders and activists. They also hope to reach beyond the Bay Area by bringing in artists from elsewhere and, by using new recording and broadcasting studios, to share choral content worldwide. The plans, announced to the public early Thursday, Jan. 17, are ambitious. But backed by a $5 million donation from original chorus member Terrence Chan, Verdugo and Artistic Director Tim Seelig said the chorus is ready to take a leading role in creating a national home for LGBTQ artists. “It just seems that the universe is taking us, not kicking and screaming, but as willing participants, into a much larger arena,” Seelig said. The San Francisco Gay Men’s Chorus, with more than 300 members, knows what it means to have no home. Its members sparked a worldwide LGBT choral movement more than 40 years ago with their first performance — part of an impromptu memorial on Nov. 27, 1978, for Harvey Milk, the first openly gay elected official in the state, and then-Mayor George Moscone, who was assassinated along with Milk that day. But in the decades that followed, the chorus had not been able to secure a permanent base of operations. Instead, the group has been spread out with offices in the Castro, storage downtown and rehearsal spaces all around the city. Chan’s been with the chorus for much of the wandering. He was there the day news of the assassinations made its way to the Castro and members of the chorus walked down Market Street, candles in hand, until they reached the steps of City Hall. In the years that followed, the chorus gave him a community, a home. He wants to return the favor. Plans to broaden the chorus’ mission and purchase the former Baha’i Center in the Mission District near Valencia Street and Duboce Avenue began more than a year ago. The chorus had practiced at the center for many years before being asked to leave while the owners put it on the market. After it failed to sell, the owners approached the chorus about a possible purchase. The $5 million donation from Chan made the deal possible, though the chorus will also put down $1 million and Verdugo and Seelig expect a capital campaign to raise money for an endowment and extensive renovations to begin this year. The building includes a dance studio, a large practice area for the chorus and two other smaller practice spaces. With the capital campaign, chorus leaders hope to install state-of-the-art recording and broadcast facilities as well. Those facilities, they say, will allow the group to record and broadcast everything from concerts and master classes to interviews and lectures, essentially opening up their programming to anybody with an internet connection. The San Francisco Gay Men’s Chorus, though open only to those who identify as men, had already begun to expand its scope in recent years with two new programs. One takes members into Bay Area schools for workshops and another, in partnership with the It Gets Better Project and Speak Theater Arts, takes a group of performers to communities throughout the U.S. to do outreach. Initially, the National LGBTQ Center for the Arts will share the chorus’ leadership and board of directors, but Verdugo said the board is committed to expanding representation of women and people of color. “Our scope and the spectrum is broad, and that is what we’re hoping to attract,” he said. On Wednesday evening, at an early private announcement of the plans, the Art Deco facade of the building was lit up with lights flashing through the colors of the rainbow. Inside, guests sipped cocktails in the largest room as a small ensemble of the chorus sang Sara Bareilles’ “Brave” onstage. The reason for the gathering had been kept secret from most everybody there. When Keith Pepper, chairman of the chorus’ board, finally announced the building’s purchase, the applause and hollers lasted a full minute. 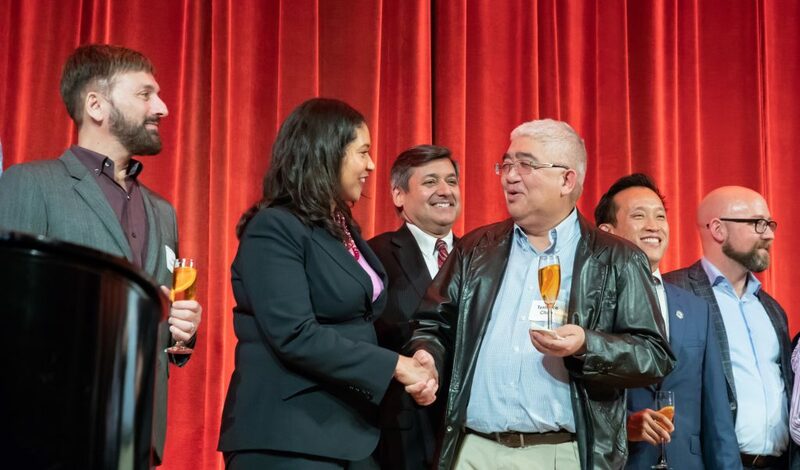 Eventually, Mayor London Breed took the stage. She talked about growing up around the African American Arts & Culture Complex, an organization she would later go on to direct. Even if she was never all that good at art, she said, “there was a space.” The chorus, with its new Center for the Arts, she said, had secured vital space.